I'm pretty sure everyone is familiar with the Star Spangled Banner. The 50 stars and the 13 stripes and all that jazz? 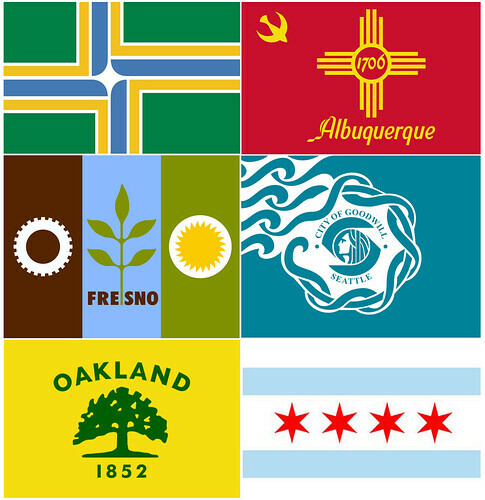 But, did you also know that U.S cities have their own flags too? I didn't until recently and these cities have some pretty rocking flags! I mean, come on...FRESNO? FRESYES I say! If you want to take a look at America's top 150 city flags, just pop on over here!